Scalp exercises can reduce hair loss, and the good news is that they don’t require expensive equipment or doctor visits. If you do these exercises regularly, you will notice your hair begin to grow faster and stronger. Make this a daily habit, and in time you’ll notice a huge difference to the quality of your hair. My advice is to be patient and not give up. Good things come to those who wait! 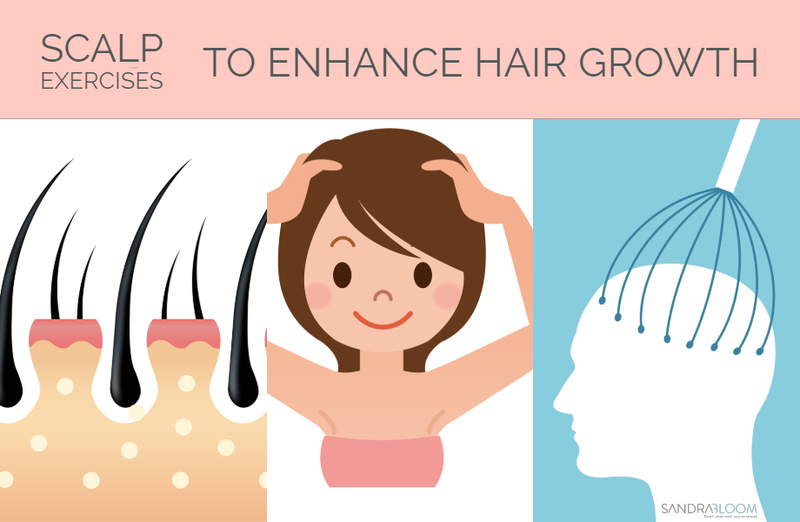 A relaxed scalp can result in more hair growth. In fact, these types of exercises are so successful that doctors recommend it for hair transplant surgery preparation. Hassong and Wong, hair transplant experts suggest that you begin by sitting on a firm chair and lifting your arms up. Place your hands on the back of your scalp, clasping your fingers together. Without joining your thumbs, start moving your scalp up and down. Do not move your fingers. Repeat this 20 times, then remove your hands and relax 10 seconds before repeating ten more times. Sit on a chair and place your hands on the sides of your head. Each palm should be above the ear. Straighten your fingers, but don’t clasp them together. Slowly begin moving your scalp up and down, but don’t move your fingers. Continue for two minutes. Then move your hand away and relax for 10 seconds before repeating ten more times. This exercise warms up the scalp and helps open up the capillaries, making it easier for hair to grow. Start by placing a hand on either side of your head, just above your ears. Apply gentle pressure and massage upwards. Try to keep the movements short and repetitive. Your hands should also stay in the same place – it’s your scalp that’s moving. After a few minutes, this will begin to give heat to the scalp. Next, place the fingers on your right side on your upper forehead, and the fingertips of your left hand on the back of your head. Push the skin of your scalp upwards in short, gentle motions. Do this continuously, and you’ll begin to see the stiffness in your scalp decrease. This routine entails repeating exercises one and two. Put your fingers on your upper forehead and the back of your head, but rather than pushing vertically, move the scalp in a clockwise circular motion. After performing the first two exercises, do this one for a total of one minute. While performing any of these first three exercises, move the muscles on your forehead and the back of your head up and down. Those who have suffered hair loss may not be able to do this at first because they don’t have enough strength, so go slow and take it one step at a time. You could also try to exercise the muscles at the front and back of your head by moving your entire scalp back and forth. Repeat this step to help open your capillaries and increase blood flow. This exercise is a little more advanced so I’d suggest perfecting the first four before trying this one out. As your muscles begin to loosen up you will find this exercise a lot easier, and your hair will start to improve, I promise. This exercise combines several muscles in your scalp and face. Begin by contracting the muscles on your nose, eyebrows, and forehead at once, moving them up and down. Then, contract all of these muscles at once and hold for a least a minute. This will open up the capillaries and assist with blood flow and circulation. Combine this exercise with the above steps and you’ll benefit from a huge boost of oxygen and nutrients in your hair follicles. Try to make daily use of this simple and effective deluxe scalp and head massager to increase blood circulation, bring more oxygen and nutrients to the follicles, relax stressed muscles, and help relieve aches and pains. You will feel this tool provides a sense of deep relaxation and helps reduce stress and I find it feels quite sensual every time I use it. It feels so uhhmm… tickly… I love it. You can purchase this tool on Amazon from anywhere between 0.65 and 5 euro. Furthermore, it is small enough to take with you anywhere, so you can even enjoy it while you are travelling. Sounds like the perfect travel partner to me! Good luck with strengthening your scalp and improving hair growth! I hope you liked this scalp exercises to improve hair growth. If you would like to learn more about regrowing hair naturally or holistic living and clean beauty lifestyle, ensure to check out more pages of this anti-ageing wellness platform. For a few years, I suffered from thinning, lifeless hair that was falling out at a rapid rate. Enough was enough – I decided to take drastic action and switched to a completely natural, non-toxic, healthy and holistic haircare and health routine. The results were astounding, and after a lot of hard work, my health and hair are now healthier and glossier than ever before! 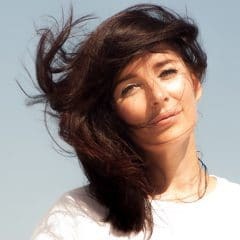 Now, through my holistic wellness books and anti-ageing health platform, I want to empower people around the world do the same and regain their health, hair, life, vitality, confidence and beauty!